A professional collection of face, cheek and body brushes evenly distribute colour across the face, cheek and body to effortlessly shape and apply colour. Exquisitely define the contours of the face with face, cheek and body brushes that gently blend, naturally define and easily build colour. 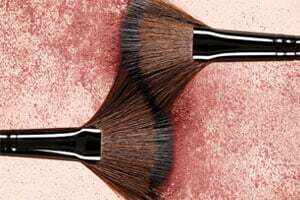 Sculpted brush heads apply colour exactly where you desire it and release colour onto the skin. Featuring sizes and shapes for every feature, face, cheek and body brushes are the ultimate essential for any kit.